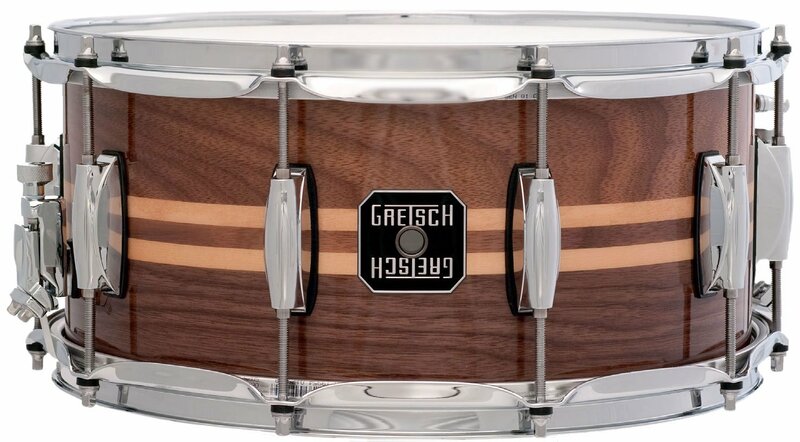 The Gretsch Silver Series Snare Drum features specially designed dual natural maple inlays housed in the walnut shell wood grain. The inlays are specially created using a precise cutting process providing a seamless bond between the frame and the snare. The walnut shell delivers a quick response attack whilst not compromising on the thick low end qualities. The construction process behind the walnut shell means that no two snare drums are the same, making each shell unique. The snare drum features a glossy natural finish with silver series bolt-on round badge. The unique construction process and premium sound quality delivered by this snare drum make it ideal for professional drummers and casual players alike.